I have to be honest. Not only did I think the Denver Broncos would lose to the New England Patriots, I thought the final score could get ugly. 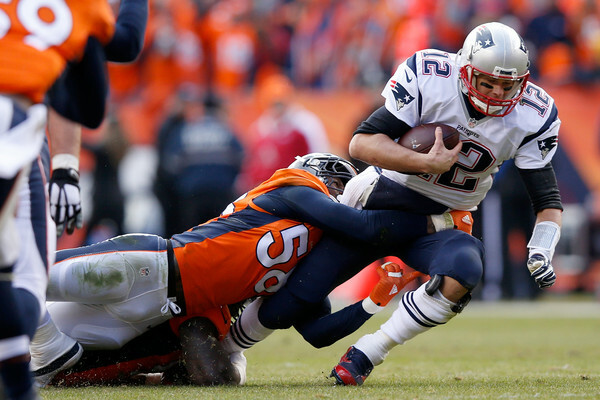 But the Broncos defense was all over Tom Brady, sacking him four times, knocking him down 15 times and intercepting him twice as the Golden Boy completed less than 50 percent of his attempts (27-56). Peyton Manning was good with 2 touchdown passes and no inteceptions, but his 17-32, 176 yard passing performance wasn't spectacular. Denver can thank their defense for the 20-18 win. 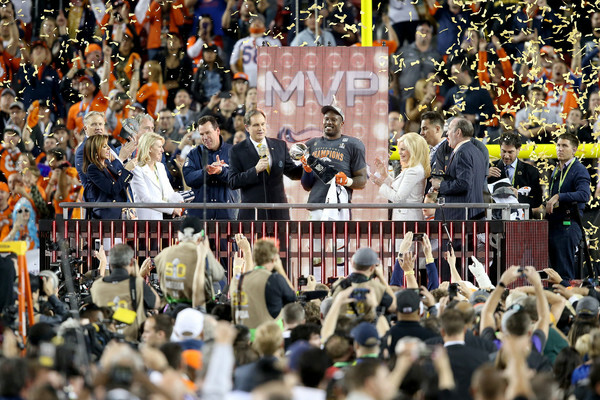 Nevertheless, Manning becomes the first quarterback to lead two different teams to multiple Super Bowls. 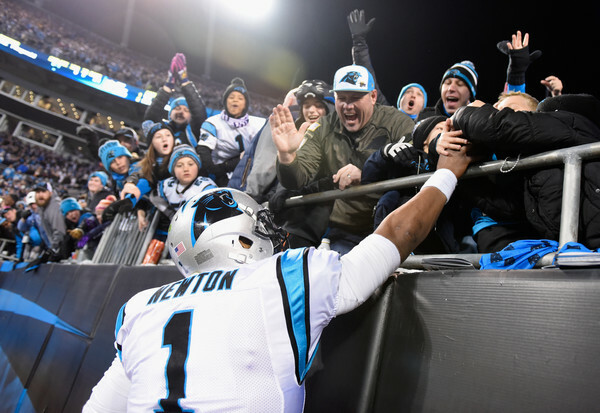 He will meet the player most think will win this year's MVP, Cam Newton. Again, being honest, all year I kept betting against the Panthers in my office football pool until it became increasingly clear...they ARE really this good. Thankfully, for them, they didn't get passive in the second half against the Arizona Cardinals as they appeared to do last week against the Seattle Seahawks. 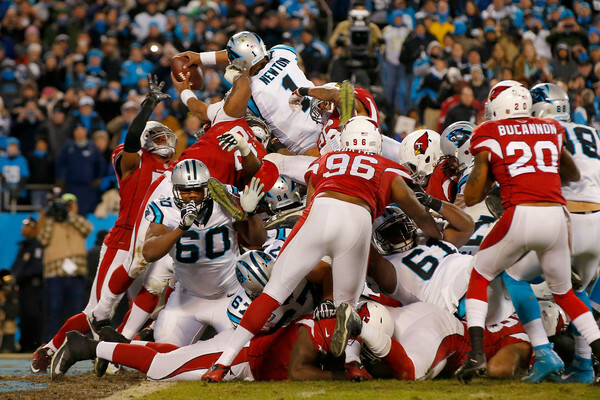 They kept their foot on the gas this time and ran the Cardinals off the field, 49-15. 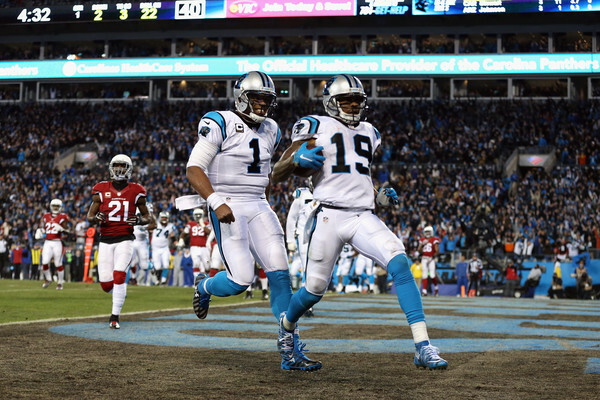 Cam was tremendous again with 2 touchdown passes and 2 touchdown runs. Meanwhile, Arizona QB Carson Palmer imploded with 4 interceptions. 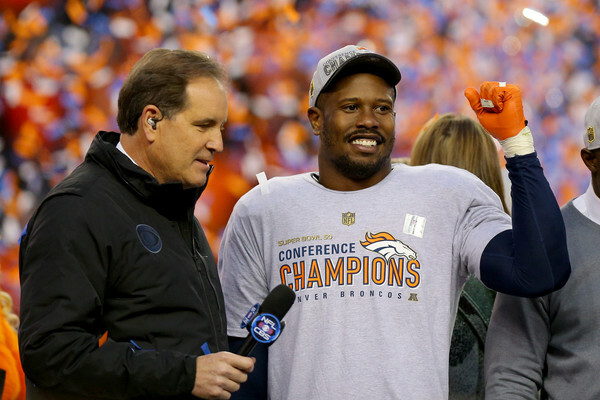 Should Denver win the Golden Super Bowl, it will be on the strength of their defense. While Peyton, for one game, might be able to reach back to his best years and play a vintage Peyton Manning game, I have to go with what this team does best. If they can stifle the great Tom Brady, and despite whatever other issues people might have with him his greatest cannot be denied, then they shouldn't fear any other quarterback in the league, including Cam Newton. ...except that Cam brings a running ability that Brady does not. 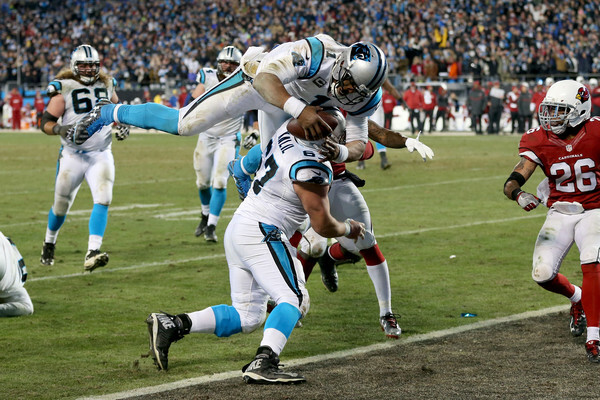 Newton doesn't just run, he has the size to punish tacklers. There was a play in the NFC Championship game where the defender met Cam 5 yards short of a first down and Cam just bulldozed him to the first down marker. So at this moment, knowing a lot of things can happen over the next two weeks...somebody could get injured, sick, etc...I will pick the Carolina Panthers to beat the Denver Broncos in Super Bowl 50 by the score of 34-23. Cam Newton and Ted Ginn, Jr.
Last edited by bangkokbobby; 01-25-2016 at 04:49 PM. Nice photos as usual, BKB. Thank you. Oy! The madness has begun. The Host Committee for this year's SB has 2 of it's pre-game venues up and running. Yesterday, Spouse and I had an appointment in the vicinity, so we checked it out. One site is a 6+ block area around the Ferry Building (a good chunk of it at Justin Herman Plaza) that is cordoned off from all but public transit. Kind of a fan village. I counted 3 sound stages all with corporate labels. CNN, Verizon, Levi's and the like. Ample food and drink facilities, games and the like for kids and adults. Tonight Cassidy Gifford will host the festivities which will include concert music, renewed lighting of the Bay Bridge and fireworks. We will be watching from the comfort of our living room! The second SF venue is the Moscone Convention Center. This is billed as the NFL Experience - for $35 (kids are $25) you can line up for autographs from some NFL greats, view the Lombardi Trophy, play games - passing, sprinting, kicking - and shop 'til you drop for outrageously expensive merchandise from each team in the league. For the benefit of several charities, there are designer footballs (Can't believe I just typed that!). Local TV has reported that one already brought a bid of $5,000. Now that's a love of football. Anyway, I'll report anything more as the week progresses. Well, retired quarterback citing. Spouse was walking downtown at the lunch hour and saw a hotel doorman that he knows. While talking with Bob, Joe Theismann came walking up to them and asked (of all things) where he could find a sandwich shop. Ha! Must be tired of fancy food. He looked sharp in a sports coat, no tie, and he was unaccompanied. Seems he now has an investment company, so maybe he was sourcing new clients. I guess all NFL alums come to these things so Spouse will be on the lookout for others. Anyway, fun. My turn to see a retired quarterback. I had a quick meeting downtown this afternoon. Lots of folks in football fan attire were wandering all over. I saw a fellow taking pics of a nice looking fellow - Kurt Warner. Still so cute. Played for Arizona, as I recall. He appeared to be walking to his broadcast assignment. Wednesday night we have a special invite - very exciting. I'll rely on Spouse to identify the notables for me. Nice report Rice. Enjoy the week! Last night, two of my worlds collided (to paraphrase Seinfeld). Spouse and I were guests at an event called A Concert of Champions - an occasion that paired my love for both football and classical music. The evening was co-presented by NFL Films and the SF Symphony. This was not a cheap date, but the proceeds benefitted the Symphony's Adventures in Music and Concerts for Kids programs which serves appx 75,000 Bay Area school children each year. Guests were treated to a pre-concert cocktail party, then a Tailgate dinner party - like no other. To me, the food was incidental. The guests included Karen and Ronnie Lott, Bill Ring, Brent Jones. local non football notables (George Schultz - Reagan's Sec. of State) and many others. These folks remain larger than life, but oh so friendly. At 8pm show time, with the audience and musicians seated, Marcus Allen (running back and Hall of Famer with a significant number of achievements) took the stage and hosted this portion of the evening. He was very well spoken - he colorfully, proudly, but not boastfully described his football efforts as being a part of the Super Bowl fabric. He lauded NFL Films as serving to bring us the inside scoop of the pro game with their captured images of stadium pageantry, stirring music and dramatic script lines. Soon we sat back and watched and listened. A huge video screen was suspended over the musicians, and pro football memories, interviews, follies, and the like were shown to the accompaniment of live music. Some of the music: 2 excerpts from the movie Rudy (football fans will remember that early 90s film), then some Bizet, and the very wonderful Fanfare for the Common Man by Copland. Now for the Intermission - we were treated to refreshments in a private lounge. Spouse was moving through the crowd when he spotted 2 former pros and I approached to take some shots of Spouse and the pros. But no! They insisted that I pose with them, so I complied and other guests graciously snapped our pics. We now have pictures with 2 former 49ers - Gene Washington and Merton Hanks. Unbelievable. This was pure delight for us. Spouse is out again today, so if he encounters anything notable I'll be back and post a report. Last edited by Ricearoni; 02-05-2016 at 11:48 AM. Most of today's special sightings were Spouse's. He and a buddy headed for the Media Center whch is across the street from our Moscone Convention Center. There they passed through security, passed through the tons of merchandise for sale and onto an entire floor equipped with row upon row of mics, stages, radio station transmission gear and the like. I'll probably miss some notable names, but they saw Mike Holmgren, Marcus Allen, Tony Dorsett, Richard Sherman, Tiki Barber, Jeff Goldblum (making a commercial), Dan Marino, Terrel Owens, Fred Belitnikof, Tim Teebow, Deon Sanders, Warren Moon. Most of the players answered questions and posed for pics. Spouse and his friend had a ball. My day was a little less intense. About noon I headed down to Macys where Sports Illustrated was hosting it's own fan fest. (Lots of activities for all ages.) I'd arrived between interviews, so I grabbed lunch then wandered back to the 4th floor where Roger Craig (retired 49er fullback, I think) was about to be interviewed. Security was present but not a bother. There were maybe 50 folks waiting along with me, then out came Roger. Looking fit, not limping (after running all of those rugged yards). I snapped a pic, then stood back and listened to him reminisce. Favorite Super bowl memory? The first that he was in. Apparently his performance was stellar. The last report I'll make will be for Friday. Should be fun. So far, first half of the game hasn't been pretty to watch. But at least it's close. Looking for a fantastic finish! This won't go down as the most aesthetically pleasing Super Bowl to watch, but at the same time I have to give credit for that to the two defenses. These two squads made the opposing offenses sputter. 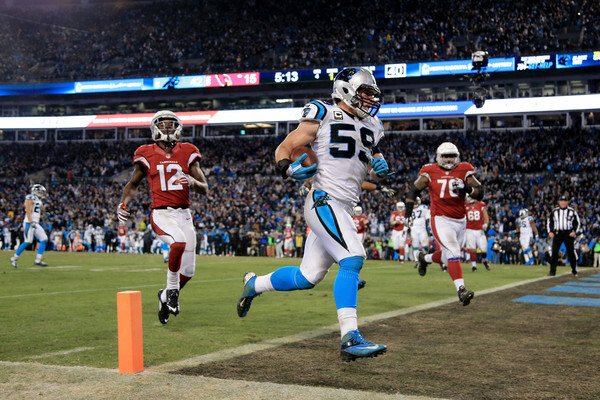 The Panthers held Peyton Manning and the Broncos in check. 14 of the 24 points Denver scored were either directly or indirectly the result of Cam Newtown fumbles deep in his own side of the field near the goal line. League MVP Newton just couldn't sustain anything all game against Super Bowl MVP Von Miller and the rest of the #1 defense in the NFL, the Denver Broncos. So we basically were presented a punt-a-thon for the Golden Super Bowl. I'm sure that's not what the league wanted in SB50, but when two great defenses come to play, you sometimes get games like this. 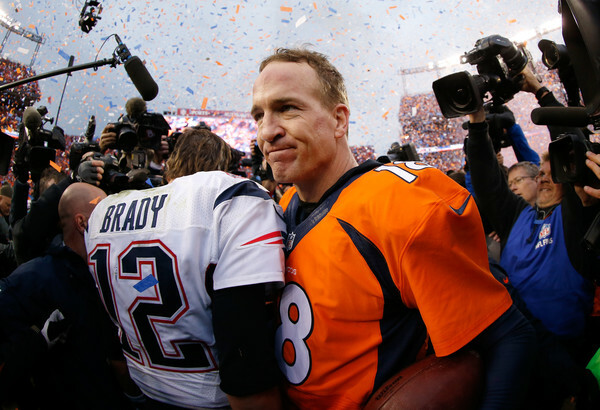 So, if he chooses, the Sheriff (aka Peyton Manning) gets to ride off into the sunset as a two-time Super Bowl champion. I suspect he might already know his decision but wanted last night to be about his team's accomplishment, not his retirement. There are whispers, however, that he could play at least one more year somewhere other than Denver. I just don't know what's left to prove for him anymore. I suppose maybe he just loves the game and wants to keep playing. 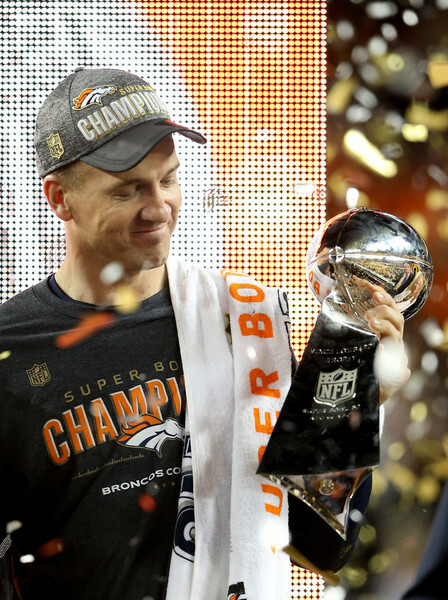 If it does turn out that SB50 was Peyton's last rodeo, it's been a great ride. My only real gripe about the game last night is...dang it, I don't know what the heck a catch is anymore. 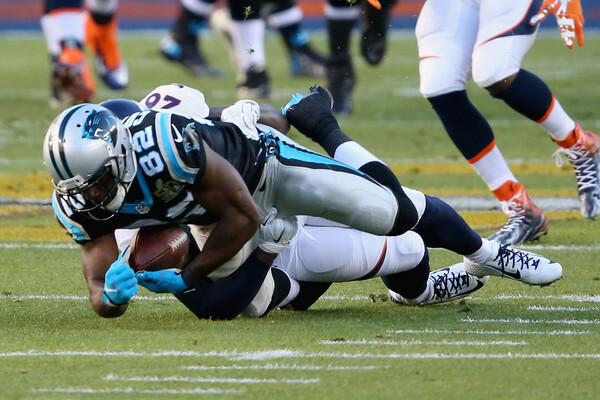 Jerricho Cotchery, early in the game, clearly prevented the ball from hitting the ground on a catch. Even after a coaches challenge, the refs still said it wasn't a catch. It was hugely important because a few plays later, Cam was stripped on a sack which the Broncos recovered for a touchdown and a 10-0 Denver lead. This put the Panthers behind the 8 ball from the beginning. Awful call by the refs leading to maybe the most significant play of the game. Last edited by bangkokbobby; 02-08-2016 at 09:51 AM. Manning should, and will, retire. He doesn't have anything else to prove and he was a shadow of his former self in the game. He'd be an idiot not to leave now. Last edited by Blue; 02-08-2016 at 11:59 AM. A local paper recently published a crime report for two of the SF fan sites: NFL Experience (the paid venue) and Super Bowl City (the freebie). Keep in mind that the anticipated attendance was 1 million and law enforcement was provided by 40 different agencies. 8 public intoxication, 2 warrant arrests, 1 aggravated assault, 1 battery, 1 obstructing an officer. We saw nothing, so I'm thinking most of this happened at night. Anyway, thanks to law enforcement professionals, the madness was kept to a minimum.